NEW YORK - When Prime Minister Shinzo Abe nominated Haruhiko Kuroda to a second term as governor of the Bank of Japan, he gave the central banker a gift that might hold the key to policy over the next five years. Far from simply pushing the Bank of Japan toward further easing, Abe has provided Kuroda with room to maneuver should he need to execute a policy shift — in either direction. He did so by nominating two new deputies, one of whom has Cardinal Richelieu-like qualities that could prove very useful in Japan’s uncertain economic environment. In the short term, the Bank of Japan’s pedal-to-the-metal monetary policy is certainly justified, partly to contain the yen. Yet it stands out from its Group of Seven peers in having no exit strategy. The bank won’t even entertain a discussion about how or in what order it might put away its many stimulus tools, or even what conditions might warrant a discussion. The silence is unfortunate, because it prevents the bank from acknowledging the progress that it has made in reviving Japan’s economy and getting inflation at least some way toward its 2 percent target. There’s a long way to go, but don’t let that obscure a critical point: Few people talk about a deflationary spiral in Japan anymore. Although Amamiya is little known outside the salons of central banking, his influence is hard to overstate. Known as “Mr. BOJ,” Amamiya ran both the bank’s monetary affairs group and markets division, a rare combination of experience drafting policy and riding shotgun on investors’ reaction to it. His unofficial job will be to have Kuroda’s back. 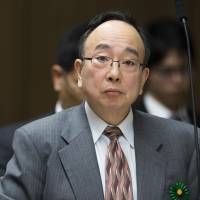 Most attention has mistakenly been focused on the other new deputy governor, Masazumi Wakatabe, a professor dubbed a “reflationist.” In the Japanese context, where monetary policy is already uber-loose, this translates as favoring pumping still more money into the economy. But Wakatabe merely succeeds another reflationist, Kikuo Iwata, who is stepping down. That’s why the real attention should be on Amamiya. Behind the scenes, he’s spent decades at the bank, shaping and implementing policies based on guidance from above. No doubt he’s learned a trick or two and has a massive rolodex. 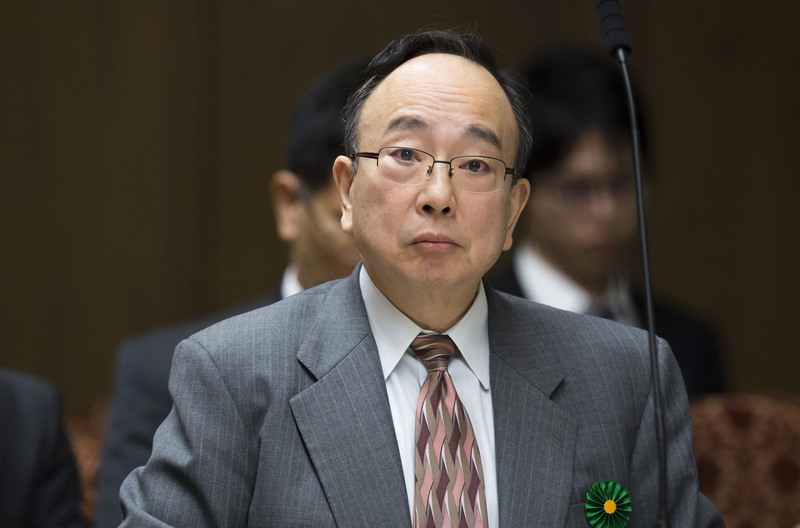 As Toru Fujioka and three Bloomberg News colleagues wrote in an excellent 2016 profile, Amamiya has served governors who have taken very different approaches to economic cycles. Kuroda is but his latest patron. Pragmatism, rather than reflation or monetarism or anything else, has been his trademark. After a series of contentious votes on quantitative easing, Kuroda opted for a strategic rethink. Guess who he turned to? The review shifted policy away from simply scooping up massive amounts of bonds. The new framework seeks to spend only what’s required to keep the 10-year government yield around zero. Sometimes purchases can be dialed up, sometimes down. If Kuroda needs to alter course again, you can bet Amamiya will be the second-most important person in the room — at least. Amamiya considered a career as a classical pianist and still plays regularly. The notes he hits in the next few years will say a lot about Japan’s trajectory. Given the country’s reputation as a laboratory, it will say a lot about the direction of the world economy, too. Daniel Moss writes and edits articles on economics for Bloomberg View. Previously he was executive editor of Bloomberg News for global economics, and has led teams in Asia, Europe and North America.